It's back to school time! Time to get out those checklists and revisit your favorite stores to see all the latest and greatest from tech gadget to new school supplies. At FineStationery.com, we love taking the ordinary school supplies and ramping them up with personalization and customization to make any student willing and eager to return to the classroom. We've compiled a list of must have items to get your year started on the right foot! FineStationery.com offers hundreds of products to dress your desk for success. 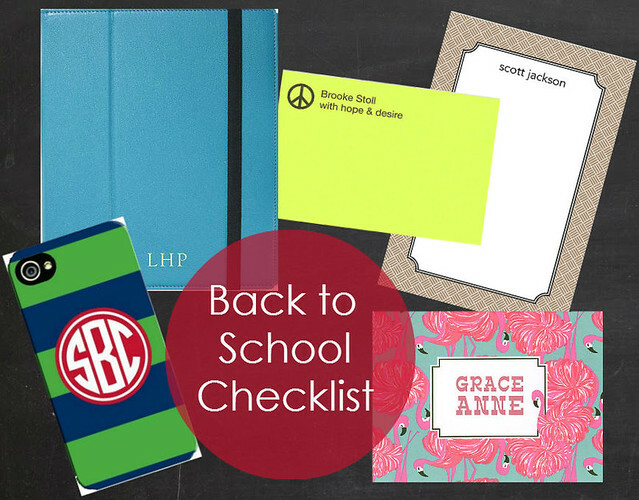 Whether you are outfitting your student's desk or your office, these items are essential for productivity and organization. What are you most excited about when going back to school?